Low round neck loose- fit swing dress in 97% superfine merino jersey, sleeveless style with self-bind around neck and armholes, can be worn on its own in the warmer months.Garment length is approx. 87cm from shoulder to hem. 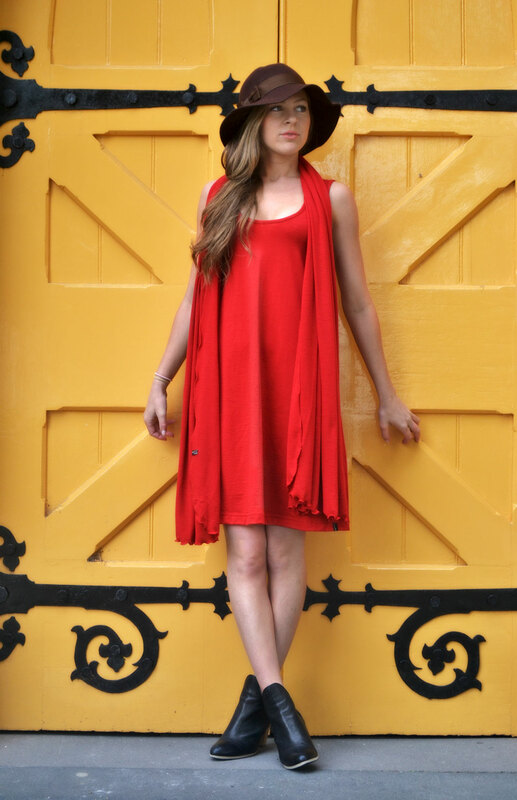 This dress is also gorgeous layered over our scoop or super scoop top and leggings in the winter, and with our sleeveless drape cardigan over the top for extra warmth and style.